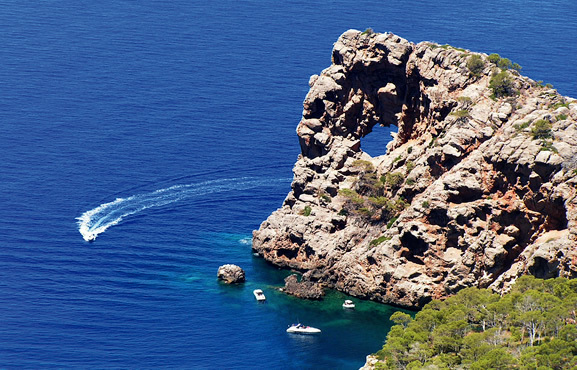 We also offer the possibility to do special excursions to destinations such as Sa Foradada or Cala Estellencs. Don’t hesitate to contact us and ask a non compromised quote! Is the excursion from Puerto de Sóller to Sa Calobra / Torrent de Pareis. From Puerto de Sóller to Cala Tuent. 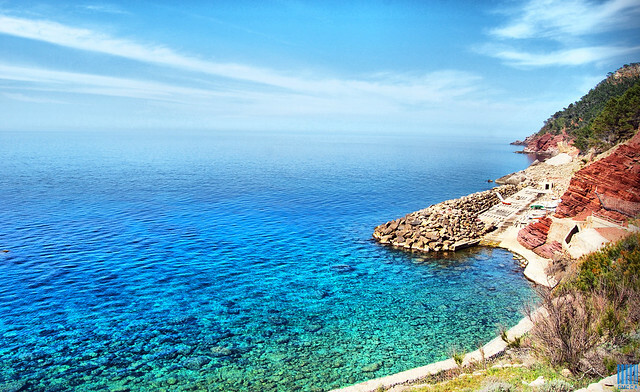 Special SA FORADADA under reservation for groups with at least 35 passangers, we make special departures to this emblematic coastal location of Mallorca called sa Foradada. Special CALA D’ESTELLENCS under reservation for groups with at least 35 passangers, we make special departures to Cala d’Estellencs, a small and precious cove located in Estellencs with a particular charm. Boat rental, contact our office for more information: reservas@barcosazules.com / 971 63 01 70.